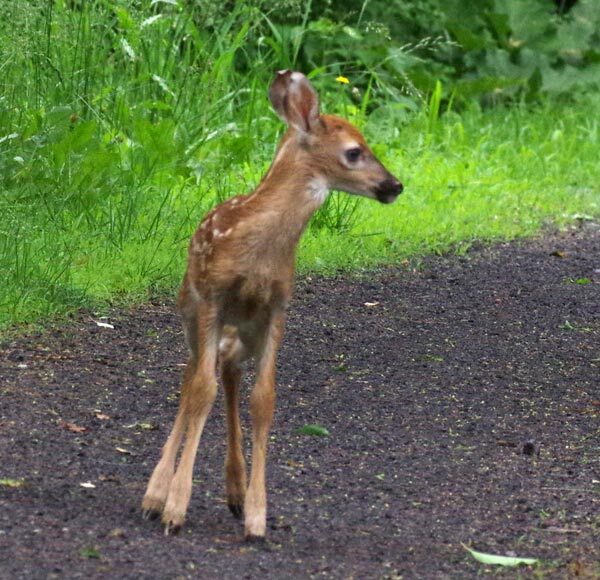 One morning this month, in early June, while I was walking along, a large doe from about a hundred feet in front of me leaped and crossed the graded path. I then suspected a fawn might be nearby (it was the season) and went along very slowly. Right! 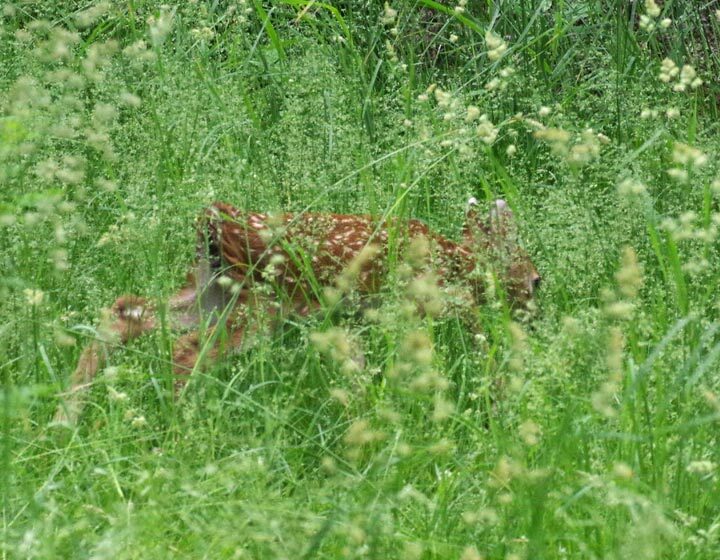 I saw the fawn through the tall grass. It was one of those times that I was happy to have a manual focus lens on my camera, since the grass would have thoroughly confused any autofocus lens. 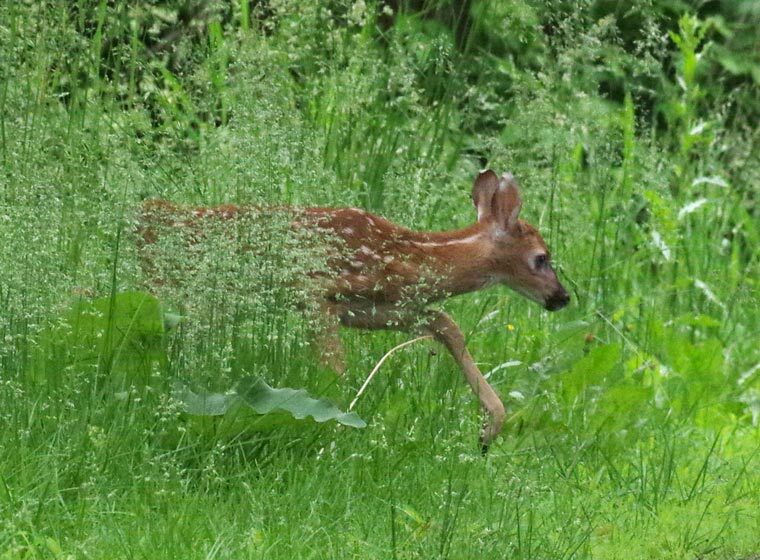 I tracked the fawn's progress through the grass (taking many photos), and then it emerged onto the trail. 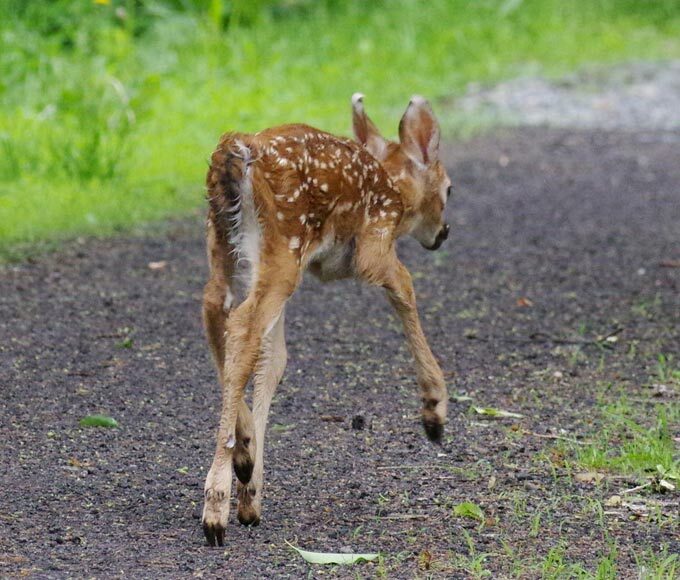 To my enormous surprise, the fawn turned to me. Humans represent danger to deer. 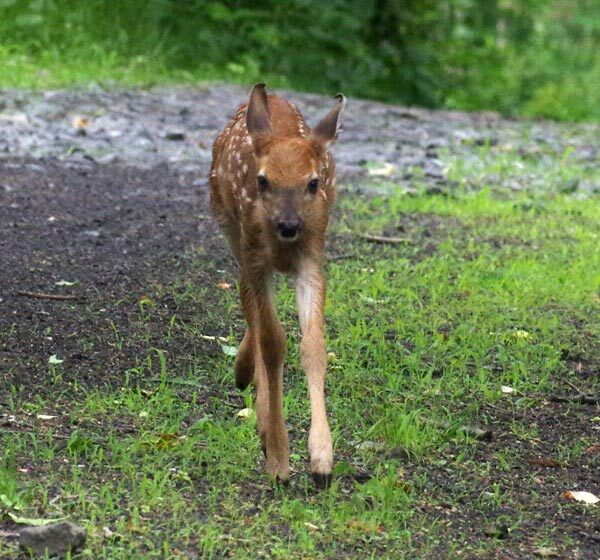 Whatever the reason, the fawn came closer and closer to me. Then all of a sudden the fawn realized that perhaps approaching me wasn't such a good idea. The fawn stood still for a moment as if debating what to do. Apparently the fawn decided that, yes, I was a mistake and began walking away. 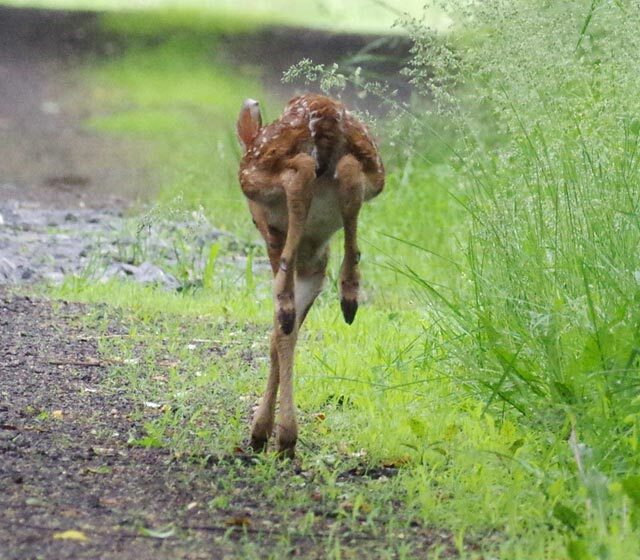 At a safe distance, the fawn broke into a leaping run. 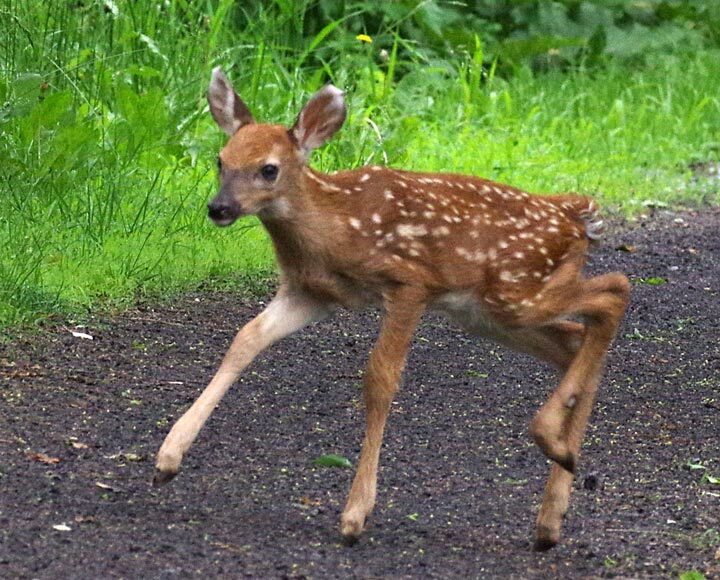 The fawn made a sharp right turn and disappeared in the direction that the doe had taken. Well, we all make mistakes. The point is not to linger over them. Photography note: The photos were taken with a Pentax K3ii and the SMC-A* 200mm/f4 macro lens during June 2018.